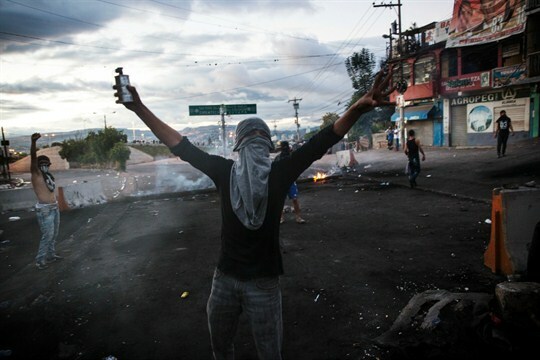 Is a Resolution to Honduras’ Turbulent Elections Anywhere In Sight? A masked supporter of Honduran presidential candidate Salvador Nasralla at a roadblock set up to protest suspected election fraud, Tegucigalpa, Honduras, Dec. 1, 2017 (AP photo by Rodrigo Abd). Hondurans went to the polls nearly two weeks ago to elect a new president and a new 128-seat congress, as well as the mayors of 298 municipalities and 20 representatives in the Central American Parliament. They’re still waiting for the winners to be declared.